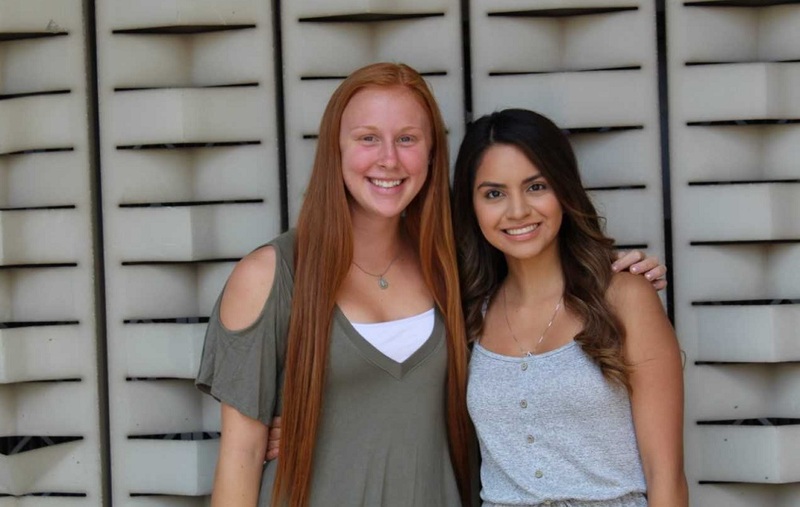 Congratulations to Jessy Forelli and Aurora Hurtado Olivas on winning the 2018 American Chemical Society (ACS) Hach Land Grant Scholarship for Chemistry Teachers. Jessy’s interest in science started far before she ever thought about teaching. Her oldest brother, Johnny, was diagnosed with leukemia at a very young age. Nearly all of her earliest memories are from his fight. There were lots of nights in the Ronald McDonald House, days of being surrounded by and playing with sick children at the Children’s Hospital of Philadelphia, and community events where everyone joined together to support Johnny and his fight against leukemia. Constantly interacting with scientists and physicians showed her how powerful their work was, and she has had a craving for science as a way to empower and help society ever since. She decided to pursue a triple degree in Biochemistry, Molecular & Cellular Biology, and Spanish to reach these goals. It was not until her first semester at the University of Arizona that she realized how much she enjoyed teaching STEM. Jessy stumbled across the opportunity of teaching an after-school math program at a bilingual middle school in town (thanks to the CBC listserv!) She consistently incorporated science themes and applications into her classes and saw how much her students liked the challenge. Because of this experience, Jessy knows she wants to incite this same excitement in future generations of students. If the U of A has taught Jessy anything it is to do what you are most passionate about. She originally wanted to pursue a PhD in biology so that she could have a research career centered around pediatric cancers. However, through opportunities like working at Roskruge Bilingual K-8 School, she has discovered that being in the community and empowering those around her is what brings her the most fulfillment. After graduation, she is hoping to teach abroad before she comes back to the United States to pursue further graduate studies. The CBC and MCB Departments for guiding her through courses. Dr. Dante Lauretta and Dr. Ronald Lynch for providing her with the opportunities to do research. ACS for recognizing her potential and financially supporting her. Her family and friends for always being there and inspiring her to pursue her dreams. Aurora’s love for chemistry education came from her experience as a high school tutor. Since she is in a dual degree program for Biochemistry and Molecular and Cellular Biology, teachers at the high school often utilize her when students have questions relating chemistry and biology. She noticed that many students fail to appreciate the importance of chemistry in our day to day lives. Aurora’s goal with teaching is to increase student curiosity in the subject in hopes that they pursue careers in STEM. Specifically, she wants to inspire minority groups to diminish self-doubt and succeed in the chemistry curriculum by encouraging them to seek out opportunities to work on the content outside the classroom. 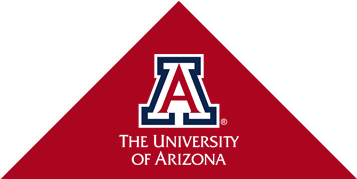 As a peer advisor through the University of Arizona’s New Start Program, Aurora gained an understanding of what students need to be successful. During that summer, she taught a course to 18 incoming college freshmen. As part of that course, she covered topics in public speaking, presenting, diversity, and social justice. Here, she realized her desire to assist students through their journey in academic achievement. That summer she discovered her calling to be a teacher, but her specific subject selection stems from her high school experience. As a tutor at Cholla High School, students would come to Aurora with chemistry questions. She recognized the struggles that the students went through when trying to understand chemistry. From her experience as a student and a school staff member, she realized that many students fell behind due to lack of content application. Her hopes to nourish students ambition by helping them apply to summer programs, colleges and scholarships. For the past year and a half, Aurora has been working under the guidance of Dr. Michael Hammer at the BIO5 institute with the intent to uncover the pathways underlying epilepsy. He has allowed her the freedom towards innovation by allowing her to do literature reviews and select appropriate treatment that targets a protein, Tau. This past summer, she also had the opportunity to work under the guidance of Dr. Seth Brown at the University of Notre Dame to expand her comprehension in synthetic organometallic research and chemical mechanisms. She plans to teach that hard work and perseverance are qualities one must possess for success. Aurora’s plan is to pursue education in underrepresented communities. The ACS-Hach Land Grant Scholarship for Chemistry Teachers will help pay for examinations required to become certified in teaching chemistry and help prepare for her first year as a high school science teacher. The ACS-Hach Land Grant Scholarship will take her a step closer to making her dreams of eliminating disparities throughout the education system, an attainable reality.